Demolition is the process of removing old damaged sheds or pools that are no longer in use and recreating a new lawn or landscape area. 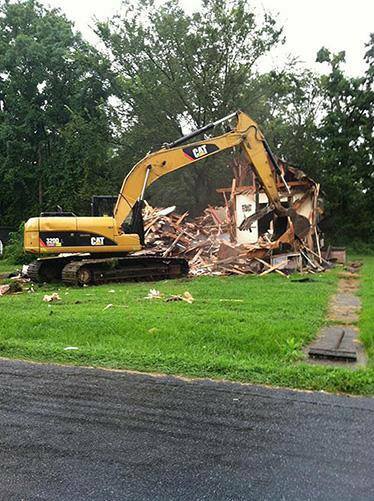 At Montpelier Grading LLC we specialize in all areas of demolition. With our powerful excavators we can tear out whatever is needed, haul it out to the appropriate disposal site and then refill the area with topsoil and seed. Our demolition services are reserved strictly for residential customers at this time. Call us today if you have a demolition project that you don't trust to just anyone. Great job. Did exactly what we agreed upon.